As far as Zombies go, The Rising should be used as the benchmark in horror literature. 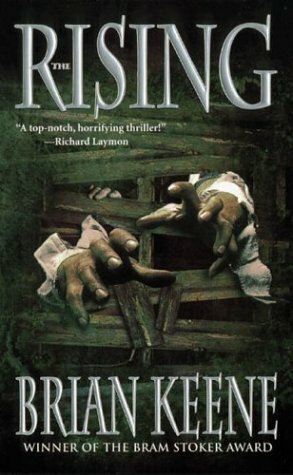 Since it's release in 2003, Keene has not only been rightfully given the Bram Stoker award for best first novel (in 2003), but it has been optioned for both film and video game adaptation (in 2004). In 2004, the mass market audience was given the gift of Keene's style and creativity, deservedly growing his fanbase, and cementing his position as 'one to watch' - in the panthenon of horror writers. The dead are coming back to life. Both humans and animals alike are rising from their graves in order to feast upon the flesh of the living. And these aresn't the shambling, brain sucking zombies that the world has seen through movies and TV. These creatures are intelligent and they can hunt. Jim Thurmond is trapped in an underground bunker, flanked on all sides by the hungry dead, and his escape seems impossible. His son is in trouble, trapped hundreds of miles away with Jim's ex-wife and her new husband. Despite the outbreak of the newly risen dead, Jim vows to save him - at whatever the cost. As Jim embarks on his cross country journey, he's joined by an old preacher, a tough as nails ex-prostitute, and a very troubled, guilt-ridden scientist. They must fight both the living and the dead on the road to save Jim's son, ultimately coming face to face with an even greater evil at the end of their journey. You want a wickedly wild, fast paced, in your face kind of thrill ride of a book? Here it is. Keene pulls absolutely no punches with this novel, bringing the action in at an early stage, and meting out the violence and tension before you even have time to get comfortable in your seat. And with this book, comfortable is something Keene ensures you'll never become. The characters could have all been pulled from real life - they're that convincing. With Jim's eternal struggle with the fears of his son's safety, Martin's unwavering dedication to his Lord, and Frankie's resolve to help Jim find his son, and to ensure that she - herself - stays alive; the reader sees the kind of subtle observations that make up our real life expreiences. Keene is capable of bringing all that and more to the page, and in turn his characters become more than words in a book. Beyond that, the scenes and settings in this story have an unrelenting feel of the apocalyptic and desperate. You'd never want to find yourself in Keene's universe, that's for sure. It would surely spell the end of you and your friends, undoubtedly at the hands of some horrific being, or a supernatural malevolence bent of destroying the world as we know it. When Keene writes about a dark forest, the room you're in will grow darker. If a chill runs up the spine of the protagonist in a Keene story, you can bet you're going to feel it. And when death comes calling in the pages of one of his book, it's time to hold your breath...cause you never know what he's going to pull out of his hat. This novel was followed up in 2005 by the incredible City of The Dead (to be reviewed later), after one of the most incredible cliffhangers you'll ever read. Recommended for any collection of horror novels. In fact, this is a must-have. Check out Brian Keene at his website or follow him on Twitter. And keep an eye out for his next release - A Gathering Of Crows - out this August from Leisure Books. I've got both The Rising and City of the Dead sitting on my TBR pile now, and I am really hoping to tear into them this summer. Reading this review only makes me want to read them more. 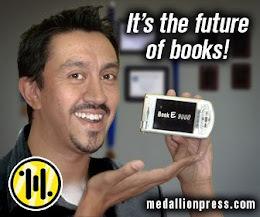 Sounds pretty good... maybe I should try to start keeping up on 21st century horror fiction! One of the finest zombie movie ever saw. Don't forget the third book, Dead Sea, and the follow up Entombed which comes out in Febuary. Dead Sea, while being a follow-up zombie story, is not set in the same as The Rising. Cit of the Dead is, as far as I know, the only sequel to The Rising. You are partially right about Entombed being a follow up to Dead Sea though. It is set in the same world. Due to a huge to-be-read pile, Paperback Horror is not accepting review copies/ARC's at the moment. If you still wish to contact me, please send an email to paperbackhorror @ gmail . com.